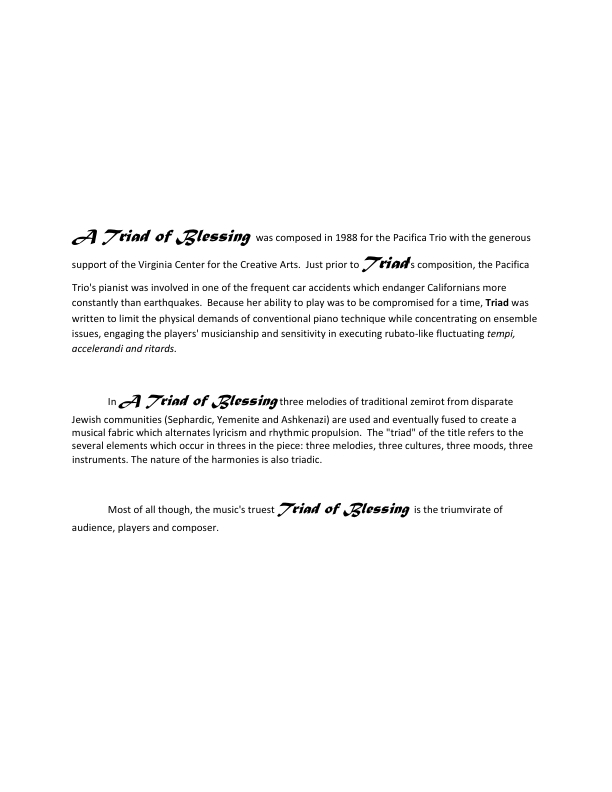 A Triad of Blessing was composed in 1988 for the Pacifica Trio with the generous support of the Virginia Center for the Creative Arts. 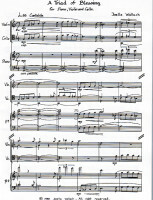 Just prior to Triad‘s composition, the Pacifica Trio’s pianist was involved in one of the frequent car accidents which endanger Californians more constantly than earthquakes. 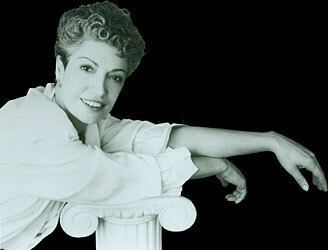 Because her ability to play was to be compromised for a time, Triad was written to limit the physical demands of conventional piano technique while concentrating on ensemble issues, engaging the players’ musicianship and sensitivity in executing rubato-like fluctuating tempi, accelerandi and ritards. 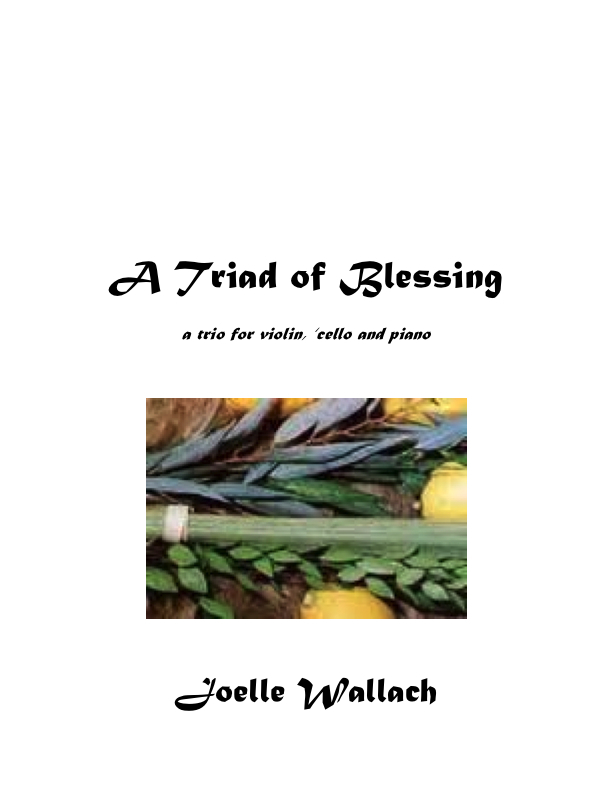 In A Triad of Blessing three melodies of traditional zemirot from disparate Jewish communities (Sephardic, Yemenite and Ashkenazi) are used and eventually fused to create a musical fabric which alternates lyricism and rhythmic propulsion. 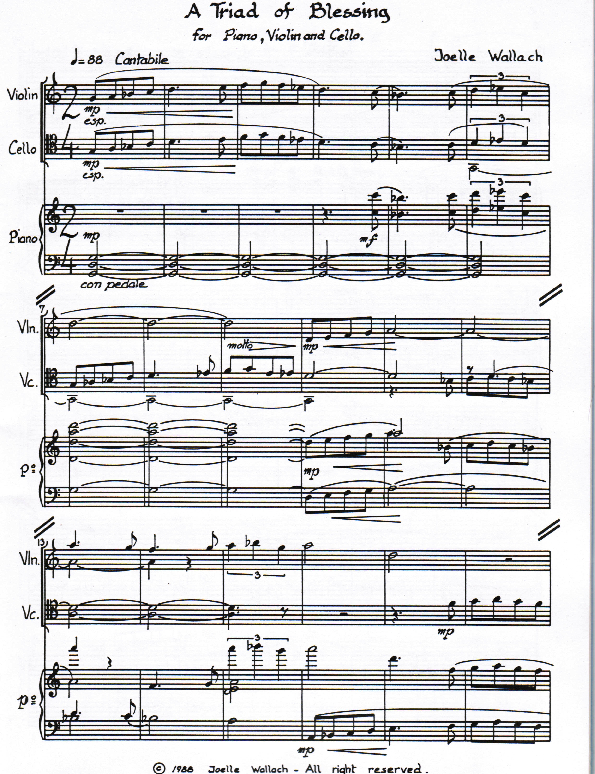 The “triad” of the title refers to the several elements which occur in threes in the piece: three melodies, three cultures, three moods, three instruments. 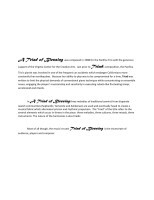 The nature of the harmonies is also triadic. 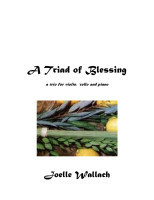 Most of all though, the music’s truest Triad of Blessing is the triumvirate of audience, players and composer.